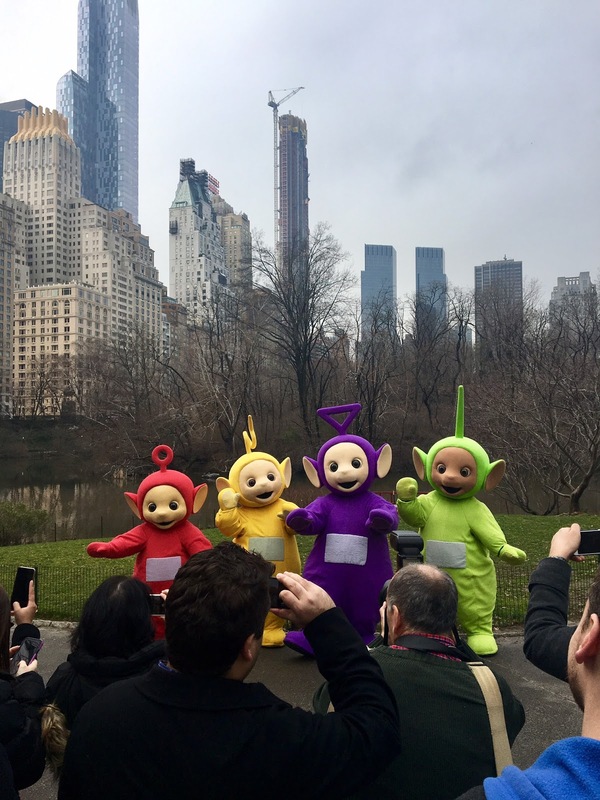 baby meets city: A 20th Anniversary Celebration: The Teletubbies take NYC! A 20th Anniversary Celebration: The Teletubbies take NYC! 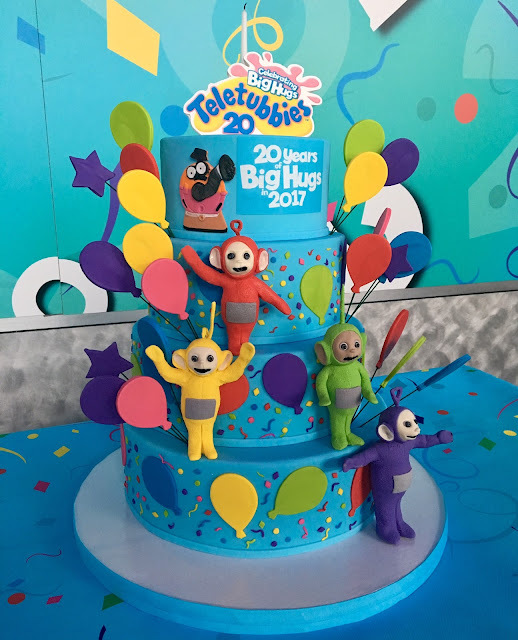 Of the many things that make me feel old these days, hearing that the Teletubbies were celebrating the 20th anniversary of their show was certainly one of them! Launched in 1997, the Teletubbies quickly became a global phenomenon as they promoted sharing, caring and learning with laughter. The show has aired in more than 125 territories and across 45 languages, and was, most notably, the first TV character brand specifically geared towards children as young as 6 months to aid in learning and development. 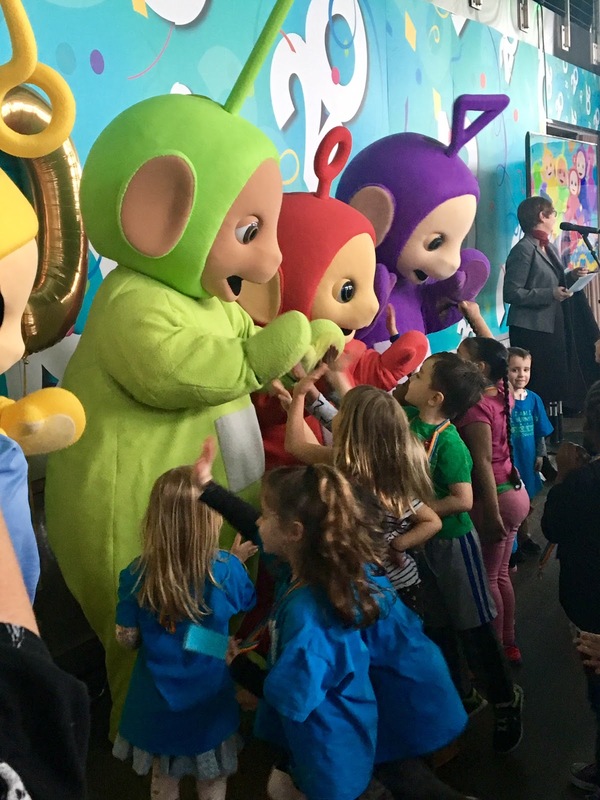 I have to say, it was really amusing to see how many people got SO excited about seeing the Teletubbies -- and not just children! Many adults came up to give them a hug and said how seeing them really brought back so many happy memories. We met one family visiting from England in Central Park, and I honestly think the mother was the most excited of all of them! Really cute. Luckily for everyone, the celebration wasn't over! The very next day, the Teletubbies celebrated with all their friends at a very special anniversary party at Chelsea Piers, complete with a preview of the all-new Teletubbies series' 2nd season on Nick Jr. 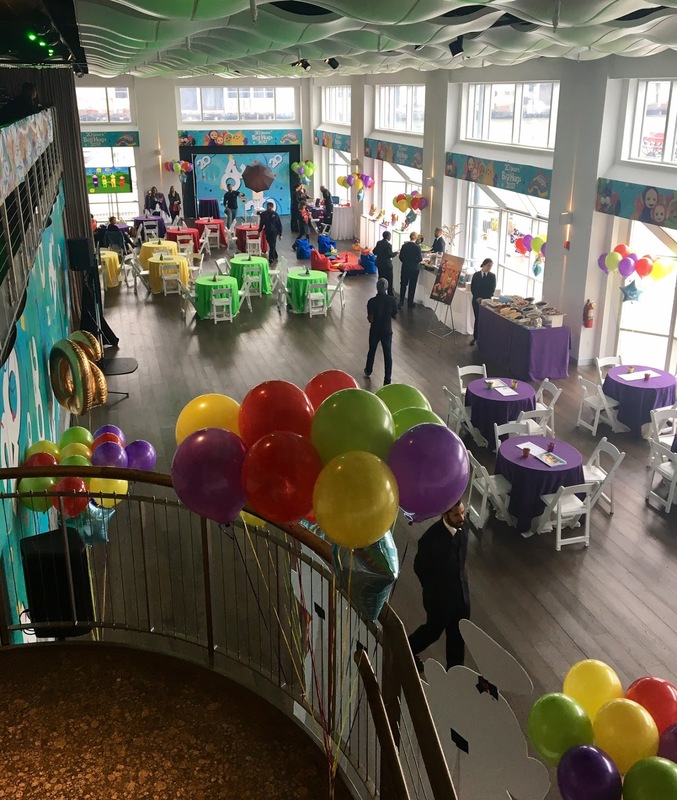 In addition to yummy eats, guests were treated to face painting, video games, arts-n-crafts and bubble magic. Such a fun afternoon! 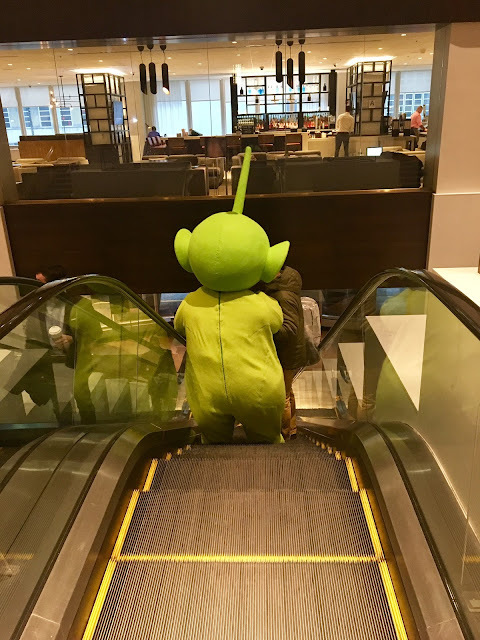 Come along as I share some photos from the party, which was attended by tons of Teletubbies fans, young and old alike. 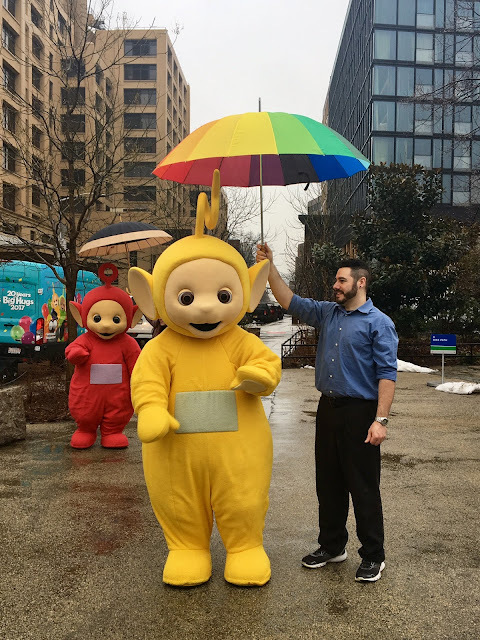 As mentioned, for those reminiscing about the Teletubbies or looking to introduce the four lovable characters to their children, there's exciting news: they're coming back for a new season beginning May 30th on Nick Jr! 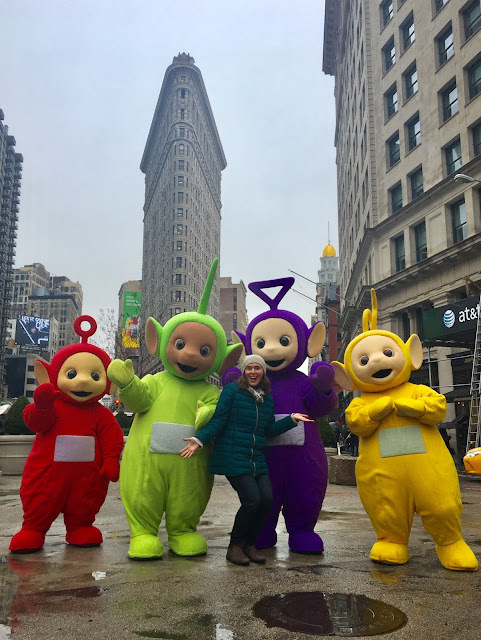 Here's to nostalgia, introducing classic TV to a new audience and Big Hugs, Teletubbies-style. Happy 20th Anniversary! Disclosure: I was compensated for event attendance & promotion on blog + social media. All opinions are my own.